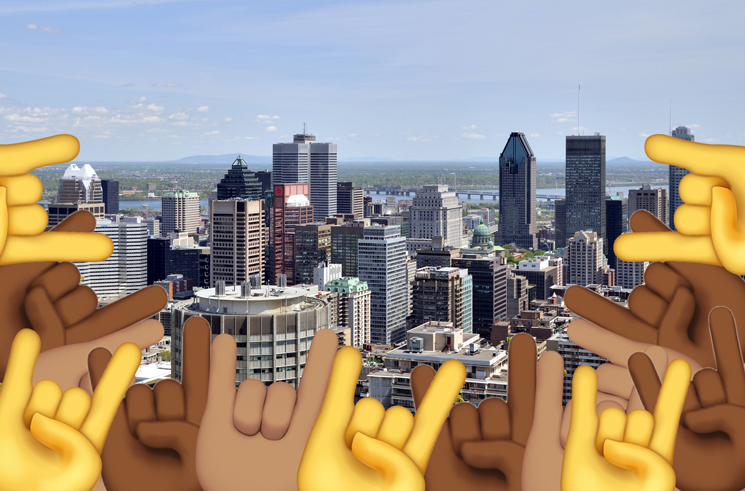 After a motion to honour Montreal's status "as a city of excellence for metal music" was put forward last week, city council has now made the declaration official. Yesterday (April 15), Montreal city council unanimously approved the motion, put forward by Coun. Craig Sauvé to "collectively recognize the contribution of Québecois Metal music, our local scene, and the thousands of people who have contributed to help make our city's metal scene shine across the world-stage." "It's an immense thrill to be able to talk about this art form that I love so dearly," Sauvé told the Montreal Gazette following council's approval. "I'm still an active fan. I listen to a lot of it. We've been getting amazing response around the world." Sauvé added, "I think it's a little bit of hesitancy because we know we're a little bit made fun of or maligned because it's an extreme music form. It's loud. But it can be very quiet and meditative as well." Global News points out that Sauvé brought CD copies of albums from Montreal tech-death outfit Cryptopsy, Montreal deathcore crew Despised Icon and Rimouski death metallers Necrotic Mutation to the city council meeting to help make his case. As previously reported, the city's annual Heavy Montreal festival will bring Slayer, Ghost, Godsmack, Anthrax, Killswitch Engage and many more to la belle province this July You can pore over the full festival lineup over here. Learn more about Heavy Montreal with Exclaim! 's Festival Profile. You can read the complete text of Coun. Sauvé's motion here.